The 28-year-old Vietnamese-Australian standout knocked out the previously unbeaten Marat “Cobra” Gafurov and laid claim to the featherweight crown in the main event of ONE: QUEST FOR GREATNESS this past August. 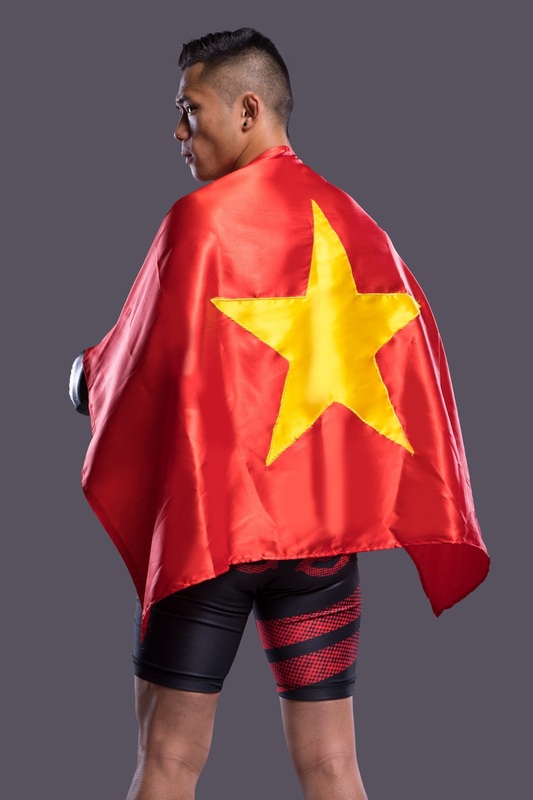 Nguyen may have won the ONE Featherweight World Championship by defeating a tough foe like Gafurov in August, but now he is moving up a weight class and looking to acquire a second world title. The newly-minted featherweight kingpin is set to challenge Filipino martial arts superstar Eduard “Landslide” Folayang for the ONE Lightweight World Championship in the main event of ONE: LEGENDS OF THE WORLD, which takes place at the 20,000-seater SM Mall of Asia Arena in Manila, Philippines. For Nguyen, he savors the opportunity to become the first two-division world champion in ONE Championship history. “I like Eduard [Folayang]. I said to myself I did not want to compete against someone I like and take away their glory, but opportunities like this do not come around too often. And, if I refused to do this, someone else was going to compete against him and take his glory. So it is strictly business,” he said. According to Nguyen, he considers his highly-anticipated championship clash with Folayang as a dream come true. “Following my title win, I took a one-month vacation. But in my mind, I really wanted to compete. I was so eager to return to the cage once more before the conclusion of 2017. My wish came true in the form of this dream match against Eduard Folayang,” he shared. After signing the bout agreement for the cross-divisional showdown with Folayang, Nguyen immediately headed back into training camp and will train as usual with KMA Top Team in Sydney, Australia to figure out the puzzle that is the ONE Lightweight World Champion. While the Filipino is a world-class striker, Nguyen has noticed a recurring pattern in his style that could leave him vulnerable in their upcoming title tilt. “Eduard’s striking is pretty legit. A bit wild, but it works for him. Everyone who gets tagged by Eduard, they walk into every single one of his strikes and put pressure on him. But Eduard is the counter striker, and everyone who comes forward gets hit with a spinning attack, a big right hand, or big kicks,” he explained. “You have to keep moving against someone like Eduard. If you do not move, then you are a standing punching bag. With my style, I am always moving. If I am going backwards, sideways, or forward, I want to make it hard for him to hit me, and I want to make every bit of my wrestling count,” Nguyen added. Despite being the taller athlete by a mere three centimeters, Nguyen anticipates being the lighter man on the night of ONE: LEGENDS OF THE WORLD. Nguyen plans to use that to his advantage, believing his speed and dynamism will be his keys to victory in the five-round championship contest. “My strength in this match is my pace and my cardio. Eduard has legitimate cardio, obviously, training in Baguio City, but going at the pace I go at, I think he is going to fatigue, and my grappling will get the best of him. He is a strong guy, but I will use his weight against him in this match,” he stated. Nguyen knows that he has quite the challenge ahead of him, especially since he is heading into Folayang’s home turf of Manila in the Philippines. However, Nguyen is up to the task and trusts in his plan that he will take home the ONE Lightweight World Championship and write his name in history books. “It is so surreal, Last year, I set my goals. I said to myself, ‘This year, I want to rematch Marat [Gafurov], take the belt off of him, and become a two-division champion.’ I am 75 percent of the way there. I beat Marat, and I got the featherweight belt. Now I am in a super bout for the first time ever in ONE Championship history to become a two-division champion. Everything is falling into place. It is appealing to know all hard work pays off,” he stressed. Although he has a tough test in front of him on 10 November, Nguyen remains optimistic that a decisive outcome will be in his favor at ONE: LEGENDS OF THE WORLD. Within a span of nearly four months, Nguyen has gone from title contender to potential two-division world champion. All of that is a definitive testament to his hard work and dedication, and it is something he hopes that will be able to positively impact others. “I want to inspire people. I want them to see the hard work I go through, and if I do end up winning this belt, it all starts from hard work and dedication. If you really want something in life, you have to work hard for it. You have to put your head down, set your goals and meet them, and that is what I want to push to the new generation,” he said. Nguyen is also fully aware that a another title win could do wonders for those who still live in Vietnam. ONE Championship has been planning a foray into the Southeast Asian country, and Nguyen could be at the forefront in bringing martial arts to that audience. Nguyen has been to his homeland only a few times in his life, but he already feels a responsibility to the Vietnamese community, having been raised by one himself. “I would love for ONE Championship to go to Vietnam, not only to motivate other Vietnamese athletes, but just the whole community. 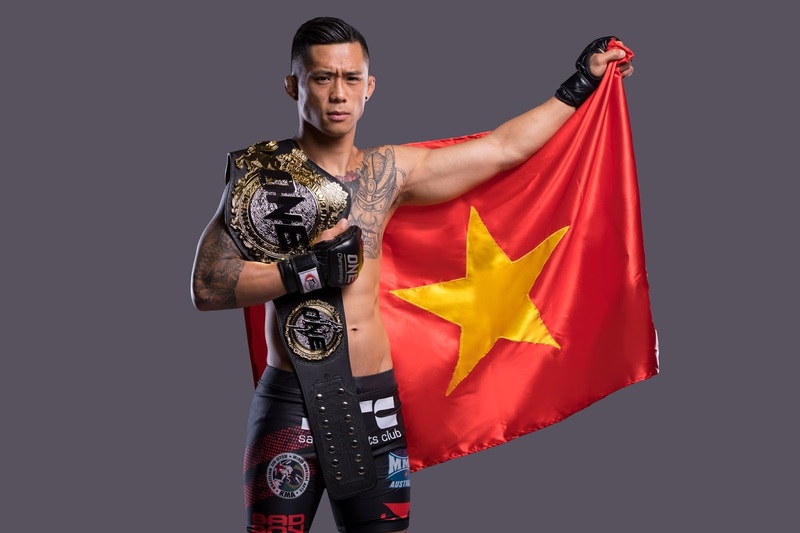 For someone coming from a large organization like ONE Championship, I somehow feel I can already serve as motivation to the Vietnamese people over there,” he said.